With his upbeat persona and trademark groove, “Mr. Tighten Up” himself, Archie Bell, is at it again with the release of his latest album, “There’s Gonna Be A Showdown Again.” The CD, Bell’s first since 1981, recorded in 2016 at Wire Road Studios in Houston, Bell’s hometown, is a compilation of remakes from his 50 years in the spotlight. Archie Bell and The Drells had their first hit when Bell was just 24 years old in 1968 with “Tighten Up” and he never looked back. Bell and Grammy-nominated Houston-based album co-producer, Andy Bradley brought in some local-legend friends to help out. Roy Head, also a Houstonian, joins Bell on an abbreviated remake/medley of “Tighten Up” and Head’s 1965 hit, “Treat Her Right.” Bell and Head have been friends since first working together in the 1960s. “All Roy’s kids and grandkids call me, ‘Uncle Archie.’ It was Andy Bradley’s idea to record with Roy (and Mickey Gilley). I have to thank him for that. We’re not going to be around forever. This was good timing,” said Bell. Roy Head’s son, Sundance Head, is the current reigning champ on the national talent show, The Voice. Also performing two duets with Bell on “Showdown” is country legend Mickey Gilley. Gilley is best known for his club and recording studio, “Gilley’s” in Pasadena. The venue was made famous in the 1980 film, “Urban Cowboy” starring John Travolta and was a popular spot for Bell performances in the 1970s. “Mickey Gilley was really good to me. Me, Ray Charles and Charlie Pride were the only black artists to play there regularly. Mickey always looked out for us and we never had any trouble,” Bell said. Growing up in one of the country’s highest murder rate areas in the 1940s, 50s and 60s, Houston’s fifth ward, Bell and his six brothers started singing in church, led by his mother, Ruthie Bell. “My mother was the first entertainer I ever saw. She was never famous but she always wanted to be. She sang in the Baptist church and taught me how to project to the back of the room. She told me, of all my brothers, that I could be the one to make it in show business. That stuck with me,” Bell said. Bell also found early inspiration in singers Sam Cooke and Jackie Wilson and formed the first incarnation of his group Archie Bell and Drells while still in middle school. Bell attended the nationally recognized music program at Kashmere High School (headed by Conrad O. Johnson and subject of the award-winning documentary, “Thunder Soul”) for his first year of high school before school zoning laws forced him to change schools. Playing in bands and clubs through the mid-1960s Bell said he has “a degree in sociology” gained through his experience being a black entertainer in the southern U.S. at a time of heightened racial tensions during the civil rights movement. “We’re in a different time today but it’s still the same. You’re always going to have people who are negative or hate. The thing that bothers me the most is man’s inhumanity against man. We’re all the same. The hardest jobs in the world are the preacher, the teacher and the police. We are supposed to be the greatest country in the world but we have millions living in poverty,” Bell said. Just after Bell had begun to record songs with the Drells in 1967 he was drafted to serve in the Vietnam War, sending him into a deep depression. Bell credits his roommate at the time, Billy Butler, for attempting to cheer him up by playing an instrumental song by a local funk group called the TSU Toronados. The contagious groove uplifted Bell and he was inspired to write the lyrics to “Tighten Up,” he said. Unfortunately, Bell was stationed in Germany at the time and had to wait until 1969 before continuing his music career full time. His success allowed him to travel throughout Africa and Europe entertaining the troops and “keep Houston on the map” as Bell likes to say. 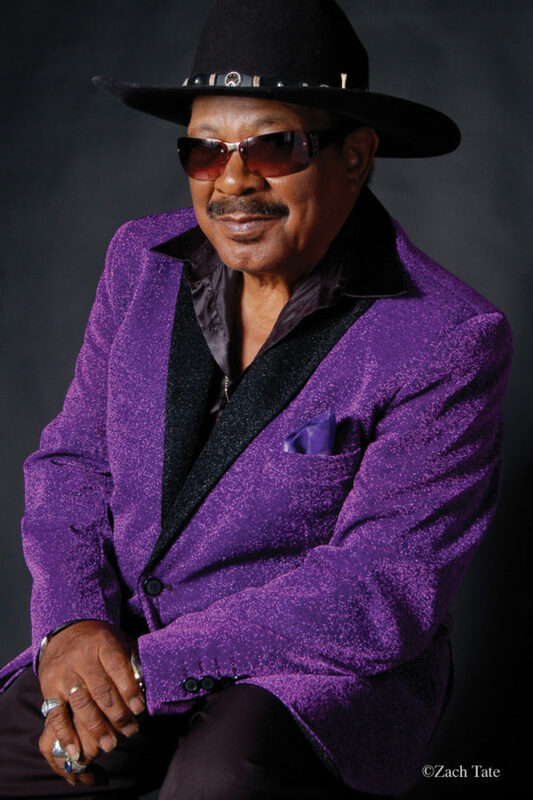 Archie Bell said he feels content and accomplished having performed more shows than he can count, including performing at the legendary Carnegie Hall in New York City, while continuing to perform several times a month. Though most shows now are in Houston, Bell said he is willing as ever to travel the world at a moments notice. Visit www.ArchieBell.net to purchase Archie Bell recordings. archie i know you arestill mad at me but i love you man iam so sorry please contact me im doing ok im doing a lot of singing and playing drums.if you would like to call me this is my no 1 317 6127721. hope to hear from you soon take care. Call your friend. Forgive him for you.